WINBACK energy is a high-frequency current operating at 300 KHz ,500 KHz and 1 MHz depending on the selected mode. This non-invasive current stimulates the body’s natural repair mechanisms, promoting cellular exchange. In combination with the therapist’s manual approach, it offers excellent rehabilitation results thanks to fast recovery of muscle and joint functions. It is a genuine physiological bio-accelerator. 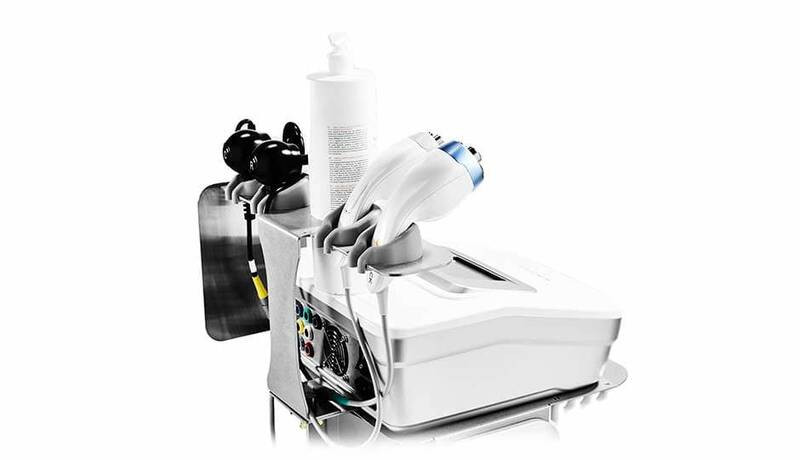 Tecartherapy differs from electrostimulation or ultrasound via the generation of a high frequency current which is non-invasive and natural for the human body. 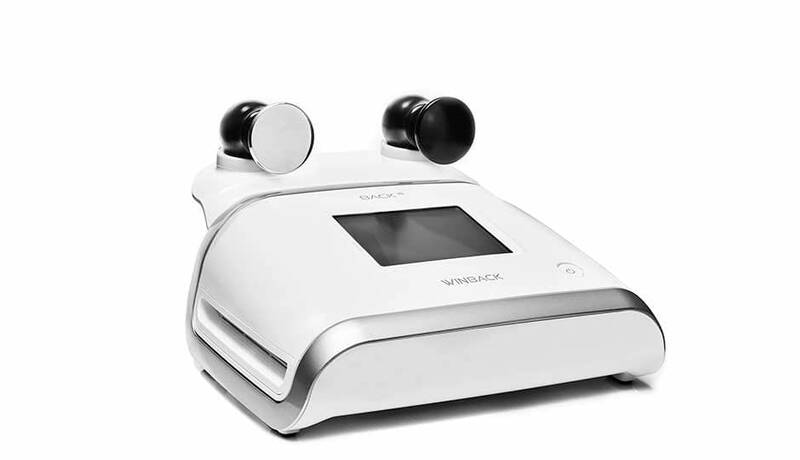 The frequency range developed by WINBACK allows precise targeting of different tissue layers (muscles, joints, bones, etc. ), working on deep-set and painful conditions which were previously unresponsive. 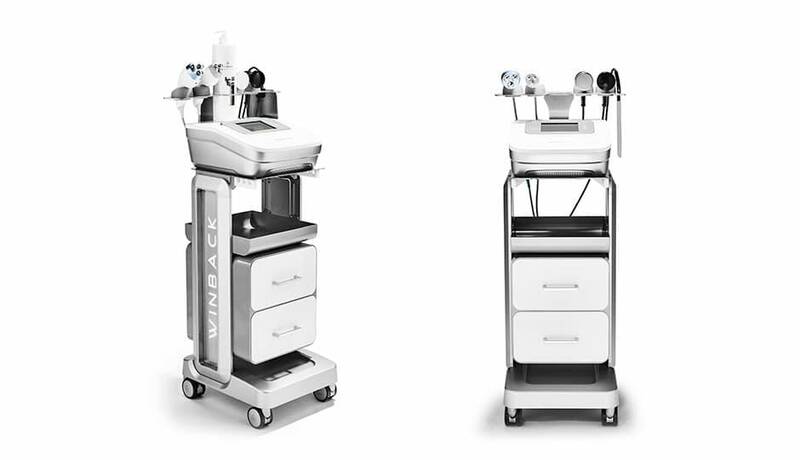 By maintaining the highest levels of excellence and innovation, WINBACK offers practitioners solutions which are the most appropriate for their needs and those of their patients. The synergy between manual expertise and WINBACK energy offers complete freedom of movement and action. The power of movements is amplified, and the therapist adjusts their depth of action according to the condition they are treating. 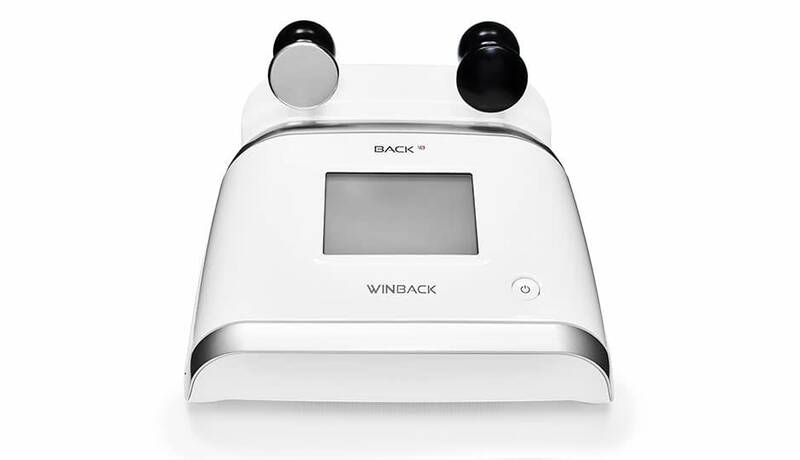 With WINBACK 5.0, the hand becomes a biological response activator by transmitting WINBACK energy. The therapist is totally free in their movement, so they can perform their treatment approach naturally. 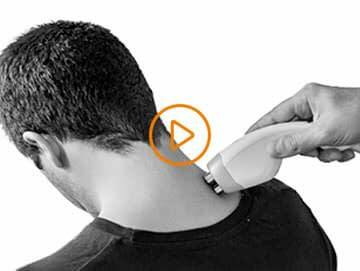 The gentle heat created by WINBACK energy soothes pain and relaxes the patient immediately. By combining WINBACK with muscle strengthening programmes between different phases of training, strength is increased and risk of injury is reduced. By exercising with WINBACK energy, perceived exertion decreases. The athlete gains speed, endurance and coordination. 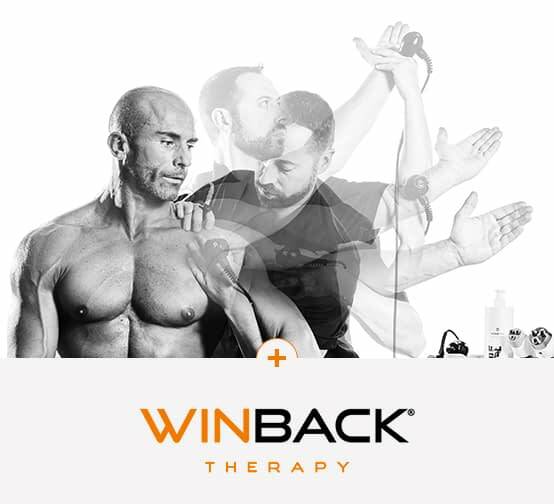 By partnering with physiotherapists and experts all over the world, WINBACK has developed more than 5 possible approaches to use its equipment which is exclusive in today’s market. They provide unrivalled manoeuvrability, comfort and freedom of action. The technology can be adapted to the therapists’ different treatment objectives. 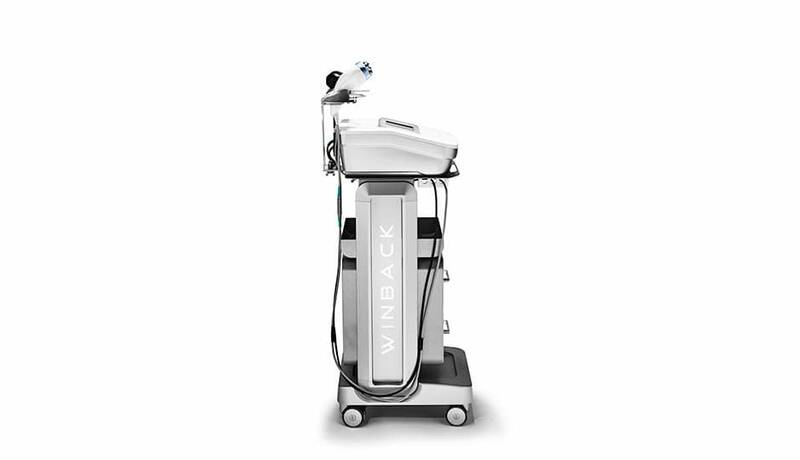 WINBACK has paved the way for a variety of unique treatments for acute and chronic conditions. Winback 6.0 is a new accessory meant to be used in RET + mode thanks to a specific Fractal gun. Its main effect is an intensive hyperthermia associated with a deep electrical impulse in order to release chronic tensions in a few minutes. The 6.0 ,once plugged on the monopolar RET input (blue connector), acts like a shockwave through a static application. The combination of Tecar specific frequency and RET + mode with a modulated signal (BEAT) offers targeted, effective and long-lasting analgesic action. The BACK 1S offers all the benefits of WINBACK technology with minimum weight for maximum efficiency! At just 4 kilos, therapists can take it anywhere. Its carrying case has been specially developed for this purpose. Manufactured to ISO9001 – ISO13485 – KIWA 1984 standards. 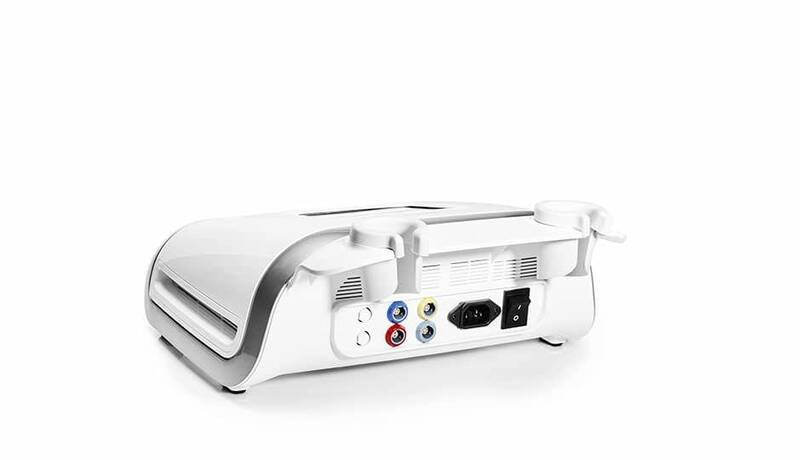 The BACK 3SE model is the top of the WINBACK Tecar therapy range. 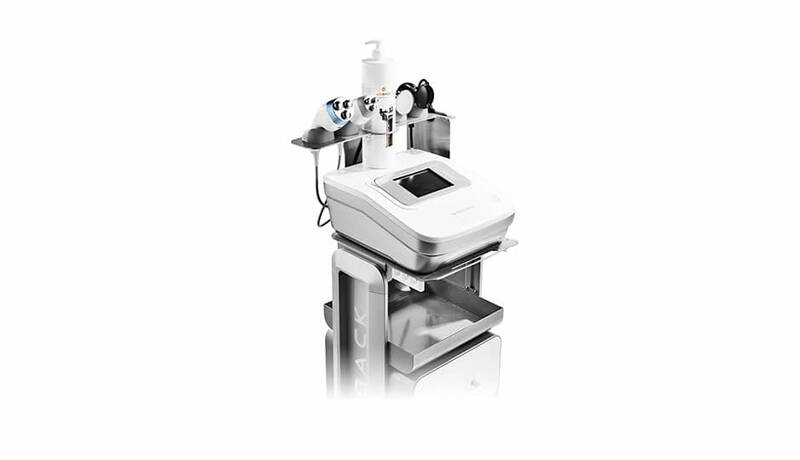 It can be equipped with 5 types of Winback Tecar therapy (from 1.0 to 5.0). Very practical, its accessories cradle and mobile trolley allows easy movement between colleagues. It is also scalable for future innovations. 2 year equipment warranty – 1 year accessories warranty.